Emma-Kate Swann is an Organizational Psychologist and Executive Coach. She has been working in the areas of Organizational Development, Executive Coaching, Organizational Change & Transformation and Leadership Development for the past 20 years. She is currently the Vice President of Leadership & Transformation at Healthy Companies International. Emma-Kate’s mission is to build communities of conscious leaders to maximize their performance and create sustainable healthy organizational cultures. As part of this mission, Emma-Kate coaches executives on optimizing their performance, helps organizations navigate through change, and guides executive teams in building more productive relationships. She is also responsible for the Product Development of Healthy Companies’ Grounded and Conscious Learning Solutions. Prior to joining Healthy Companies, Emma-Kate served in a variety of senior leadership roles at PricewaterhouseCoopers and CEB. She is asked to speak regularly on a wide range of topics, including effective executive coaching, creating and sustaining healthy high performing cultures and the cultivation of key talent. 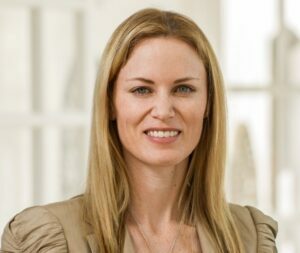 With extensive experience living and working in Australia, New Zealand, Central and Western Europe, Asia, Africa and North America, Emma-Kate brings a uniquely informed and global perspective to her work.